Resistance to change can stagnate any veteran band. 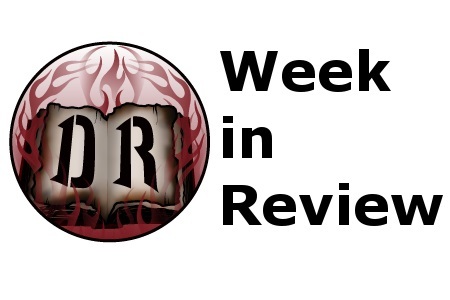 It’s a catch-22 scenario – hopefully your built-in audience is willing to climb aboard as you sail into new horizons, or you catch enough newcomers to replace the faithful who may flee to safer lands. 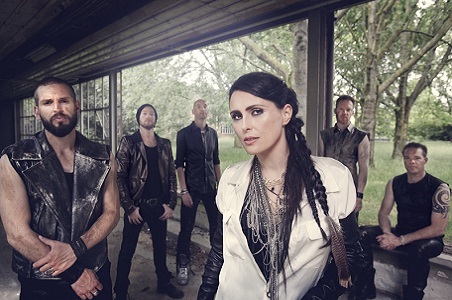 Within Temptation established themselves during the 2000’s as one of the premiere symphonic metal acts – albums such as The Silent Force and The Heart of Everything elevating their sound to headlining status in Europe and North America. Their last studio album Hydra from 2014 caused some shockwaves – including a guest rap appearance from Xzibit as the band wanted to expand into modern/alternative rock territory with some of the songwriting. 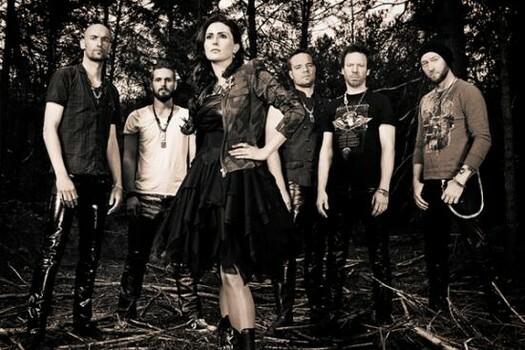 So what can the fans expect from album seven Resist – will it be more of a modern/commercial turn or take the band back to conventional, symphonic metal pastures? The message of the record lyrically comes from a perspective of resisting oppression be it from social subjection or dictators/government controls so that we can develop ourselves as individuals – very timely given the tumultuous global perspective humans are now dealing with. Musically the band approach this material in a forceful, modern angst while still maintaining solid hooks and melodic mechanics. It’s hard not to be sucked into Sharon’s alluring vocals and the cohesive guitar/keyboard tandem heaviness created during “Raise Your Banner” for instance- featuring that gritty supplementary assist from In Flames’ Anders Fridén in his growls and grit. The cyber/techno feel that has put Amaranthe at the top also gains a prominent light during “Supernova”, the tempo seductive as the lower computer effects help the chorus cement itself even on an initial pass and the distant choir supplementation ups the bombast atmosphere of the arrangement. Because of the band’s willingness to accept outside metal influences into their current sound, dynamics play a greater role to impact the songs even if the hooks are simplified and pop-oriented overall. Orchestration and guitar proficiency takes a back seat to the totality of how the instrumentation fits the individual needs of each song – the hypnotic effect of repetitive rhythm-like melodies during “Holy Ground” or “Mad World” the clearest examples of exotic textures and walls of keyboards and guitars mashing up for something clearly alternative to their roots. 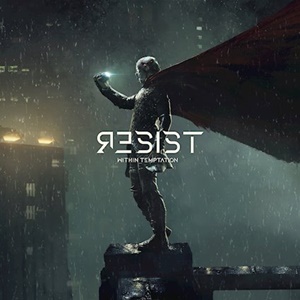 Electronic drums, r+b/ hip hop nuances, special guests from Papa Roach to alternative rock singer Jasper Steverlinck – it means that Within Temptation on Resist officially shed their tried and true symphonic metal sound into the bold new modern world. And while it’s hard to determine at this point if they’ll be successful keeping their core audience, they should be praised for at least a willingness to risk safety in a metal genre that usually bucks the big turn.